Tell me that isn't kind of cool...in a fat kind of way. 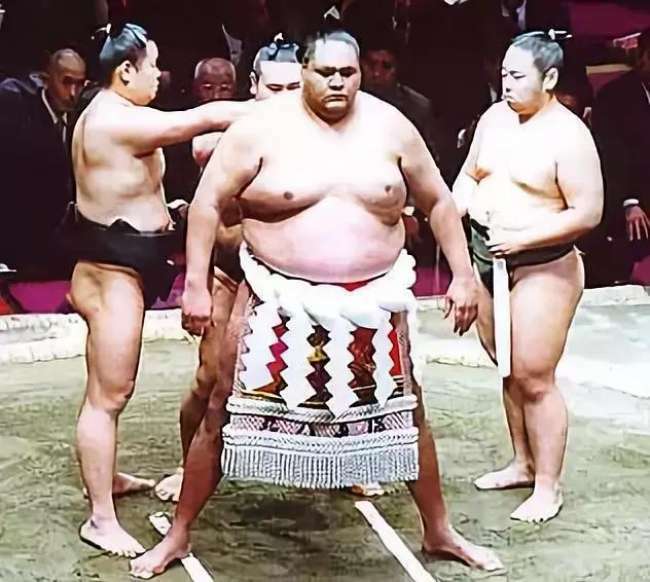 Am I weird for wishing that more Sumo would come and fight MMA? I felt a little guilty. I found my last post to be interesting, but as far as posts go, I felt like I was being the dude who sticks his head into a discussion just to tell you that the liver is the largest internal organ. Its totally true, and as far as organs go, its a pretty cool organ, but no one cares. Its like math jokes: If you get them, you don’t have friends. So to get rid of my personal sense of guilt (and to display my impressive knowledge of human anatomy), I offer you this clip. Bas brings up a good point in dealing with a very real problem in “street fights”. You don’t want to go to the ground, but unless your kung fu is soo good that you can be 100% sure of not going there, you really should know how to win from the bottem. With Chael Sonnon picking on Jiu Jitsu this week, I thought it would be nice to have something positive to say. Exclusive to From the Guard. In the world of Brazilian Jiu Jitsu, Eddie Bravo’s 10th Planet Style have created quite a stir. If you aren’t connected to BJJ, it might be mildly interesting to you anyway, heh. Anyway, Eddie’s main claim to fame (wow, I’m on a roll here), was defeating Royler Gracie at the Abu Dabi World Championship. After this win, Eddie went on create his modified BJJ system. He is also known for his favorable stance on marijuana, he feels that it is performance enhansing in Jiu Jitsu. Brent Alvarez runs Twisted Web MMA in Eugene, Ore., and Billy Denney is his student. They were in LA for a Brazilian Jiu Jitsu tournament and as they were walking through the hotel lobby the clerk yell for help. Alvarez and Denney jumped on the robber, and while Denney controlled his wrists, Alvarez sunk in a rear naked choke and a body triangle. Got to love how they seem a little sheepish that they didn’t knock him out. But hey, the way I score things, they get 2 for the take down, 3 for rear mount, and the opponent had a gun, so I’d still call it a win.